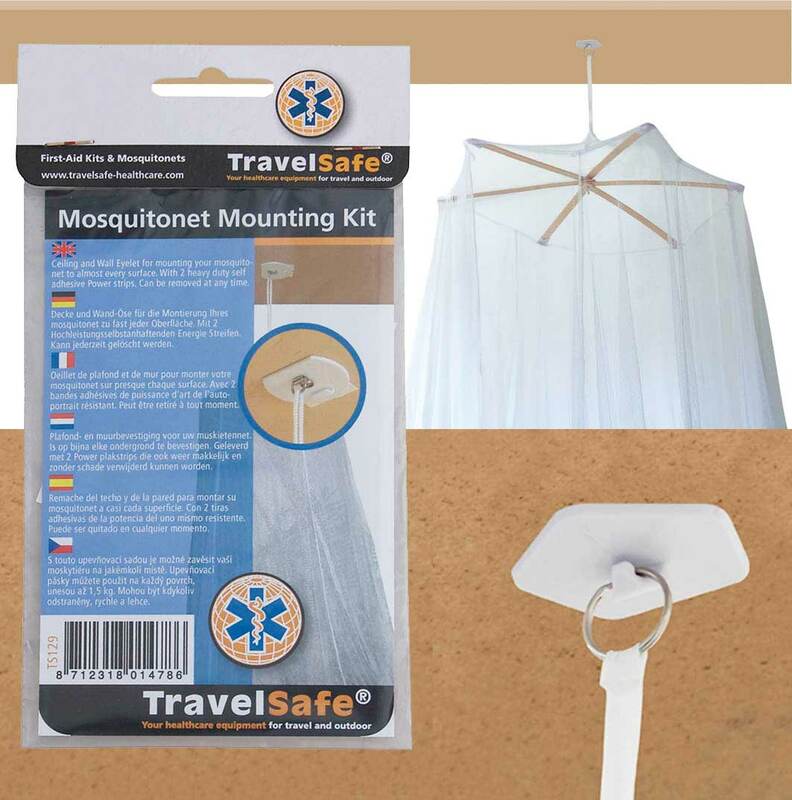 Our "Compact" travel Mosquito Nets have already proved their worth and are ideal when going on a trip: they are lightweight and can be folded up easily. They are suitable for double beds or single beds. 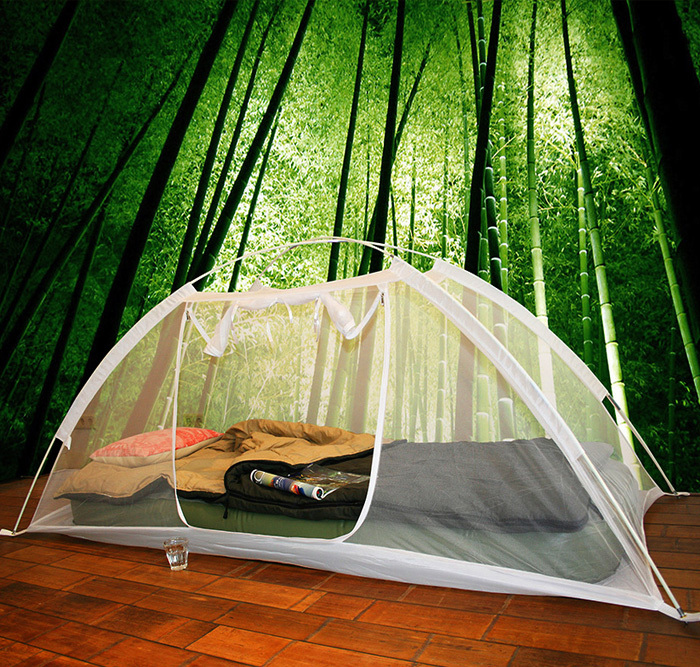 The "Compact" Travel Mosquito Net is also available impregnated with permethrin (insect repellent). We also provide clips to suspend the net from the ceiling which can be ordered below. The 'IGLO' travel net is suitable for all travel purposes. Great for travel purposes. This multi-use Mosquito Net IGLO does not need a hanging spot on the ceiling and can easily be put on a bed or even on stand on the floor. 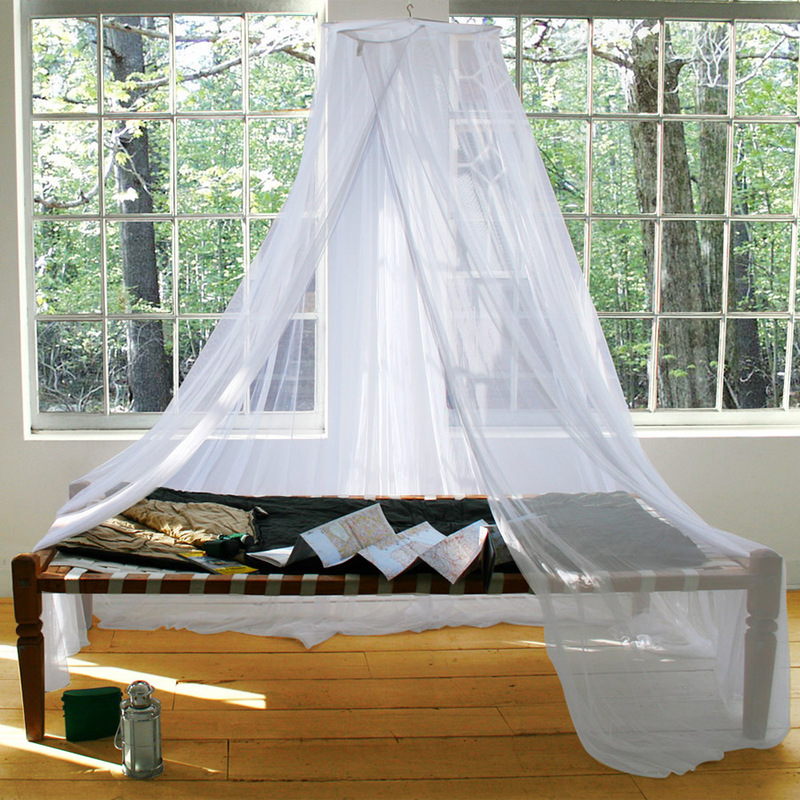 The mosquito net 'IGLO' can be constructed together with insertable tubes quickly and with ease in any situation. The IGLO is available in one (Single) and two persons (Double) models. 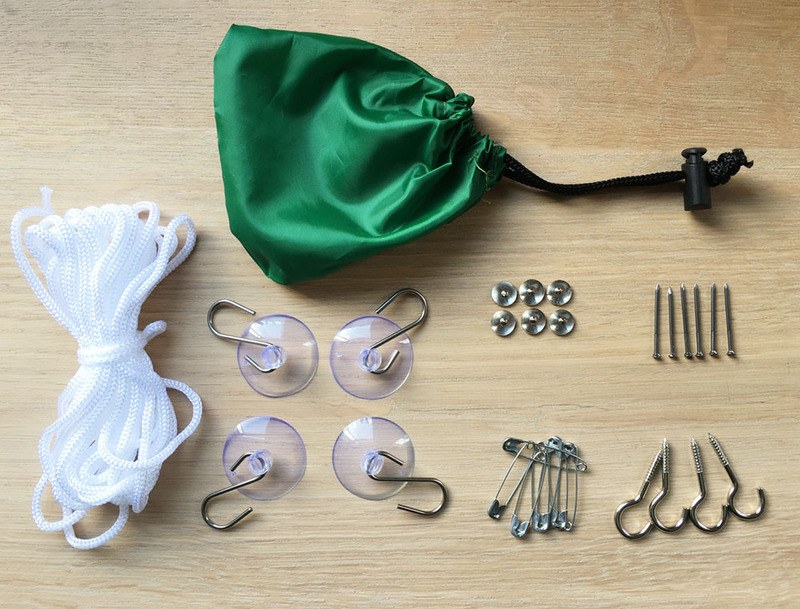 With this Mosquito Net Hanging clip, you can attach the mosquito net to the ceiling without screwing a hook into the ceiling. This clip an be glued to the ceiling by means of a strong adhesive tape. Please note that this suspension clip can hold a weight of up to 1.5 kg.